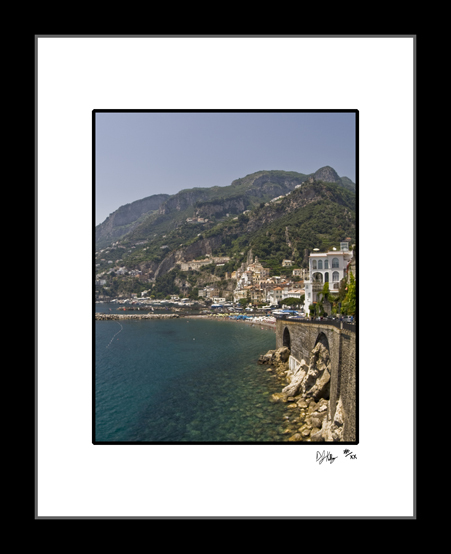 This photograph of the town of Amalfi, Italy was taken during summer trip to the coastal towns of Italy. The sea is cast in brilliant shades of blues and greens. The beach town of Amalfi stretches from the ocean all the way up into the mountains above the sea. The town of Amlafi was once a naval power and now is a tourist hot spot. This colorful photo shows the blue and green sea, the coastal town, and the mountains that make the Italian sea famous.